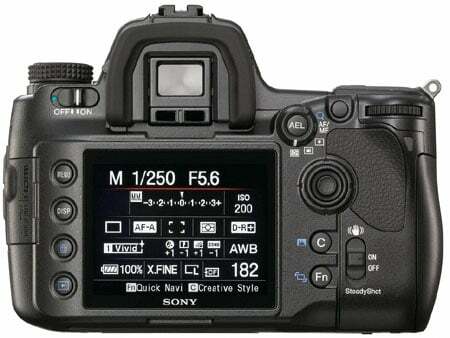 Sony’s latest Digital SLR isn’t just the flagship model in its Alpha range, it’s also claimed to be the world’s first 24.6-megapixel camera with a full-frame CMOS sensor. 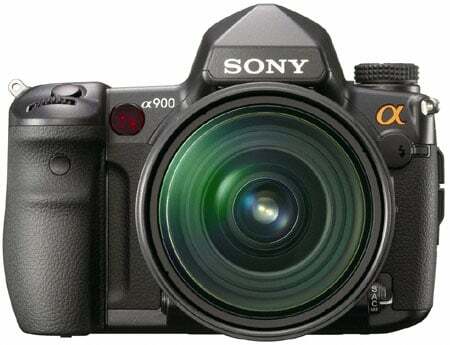 The Japanese electronics giant stated that Alpha 900’s CMOS sensor is equivalent to a 35mm film frame and able to capture more “vibrant colours, ultra-real textures and subtle tonal gradations” than ever before. The Alpha 900’s also the world’s first full-frame camera to feature SteadyShot Inside, an in-body optical stabilisation system with four steps of anti-shake correction – surely enough to ensure that even that most wobbly handed photographer captures sharp shots? A 3in LCD display can be found on the Alpha 900’s reverse, while the viewfinder’s field of vision covers 100 per cent of the full-frame sensor's imaging area – meaning everything you see will be captured. The effect of changes to the camera’s settings, such as white balance and exposure level, can be simulated onto images through an intelligent preview function. An anti-dust system also protects the shooter’s innards from picture wrecking dust specks. Images can be stored onto either compact flash or Sony’s Memory Stick Duo cards. An HDMI port is also built into the shooter, allowing you to display your pictures directly through an HD-ready telly. Sony’s Alpha 900 will be available from next month, but a price hasn’t been snapped-up yet.